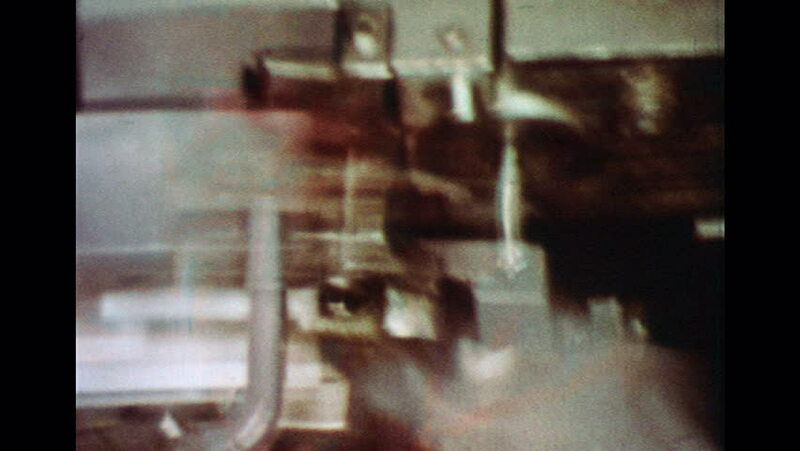 UNITED STATES 1960s: Close up of header machine working quickly. Slow motion close up of machine forming bolts. hd00:291960s: Houses on a hillside. Houses in a suburb. Apartment tower. Young girl in bathroom applies hair spray from a can marked Flammable. Hairspray is sprayed on space heater and bursts into flames. hd00:24UNITED STATES 1960s: Machine forming transistor bases. 4k00:09CALIFORNIA 1961: view of parked boats on the ocean. hd00:30HONG KONG - CIRCA APRIL 2015: People, commuters walking in modern office building, slow motion.